For many people, the fact that their car has been totaled can catch them by surprise. Most people think of a “totaled” car as a smoking wreck, but the reality is that your car isn’t totaled when it’s damaged in an accident — it becomes totaled when the insurance company decides it’s not worth fixing. The term “totaled” is short for “total loss,” and this term means your insurance company has decided that the cost of repairing your vehicle exceeds its value or a certain percentage of its value. For example, in Maryland, the transportation code sets guidelines about what can be considered a “total loss.” If the vehicle has been damaged “to the extent that the cost to repair the vehicle for legal operation on a highway exceeds 75% of the fair market value,” it can be salvaged by the insurance company as a total loss. Since determining if a vehicle is a total loss requires some educated guesswork as to the difficulty and cost of repairs as well as the car’s current value, it’s essentially a judgment call on the part of the insurance company as long as it they abide by any prescribed state statutes. The car’s owner has very little say in this process, and this can lead to situations where the owner suddenly has to part with a car that didn’t appear badly damaged on first inspection and that they expected to be able to drive again. Many vehicle owners also find themselves in a frustrating financial situation after the insurance company declares their car or truck totaled. If your vehicle was fairly new, there’s a good chance that the valuation from the insurance company — and therefore the payout you’ll receive — won’t cover what you still owe on the car, let alone the full cost of replacing the vehicle. This especially tends to happen to drivers who purchased their vehicles with longer-term loans and/or with little to no money down. In this article, we’ll go over some steps you can take to protect yourself and different options if you find yourself in this difficult situation. Gap insurance is particularly important for new vehicles because they depreciate so quickly. (Some vehicles lose as much as 30% of their value within the first three months.) If you buy a new car, you will almost always have to go through a period of “negative equity” — that is, a period of time during which the value of your car loan is more than the actual value of the car if you sold it. This period of time is when you’re in acute danger of financial loss if your car is totaled, and it can be a rather long one if you’ve put little money down, taken out a loan with a very long repayment term, or borrowed more than was necessary to buy the vehicle. In any case, gap insurance is an essential protection for drivers during this “negative equity” period. Since the “gap” in your equity eventually lessens and then disappears as you pay down more of your loan, gap insurance isn’t an ongoing type of coverage like most auto insurance; instead, you usually purchase it by paying a one-time fee at or around the time you buy your vehicle, and then you can terminate it at any time. Of course, gap insurance is a proactive step — you need to have it in place before your car is totaled in order for it to help. Many people tend to forego gap insurance because they think it’s an unnecessary expenditure. They believe they’re careful drivers, so why would their car wind up totaled? Unfortunately, even the best drivers can find themselves in the worst of situations when other people act carelessly, so passing up gap coverage — especially if your car is new or lightly used — can turn a bad-luck situation into a financial disaster. For people without gap coverage, the options to recover the amount you still owe on a totaled vehicle can be fairly limited. However, there are some things you can still do to try and help your situation. Optional features like heated seats, entertainment systems, parking sensors and cameras, etc. Talk with your loan financing company about rolling the amount you owe into a new loan. While taking on more debt isn’t usually the best way to deal with a financial problem, sometimes it’s necessary if a totaled car has left you without transportation. 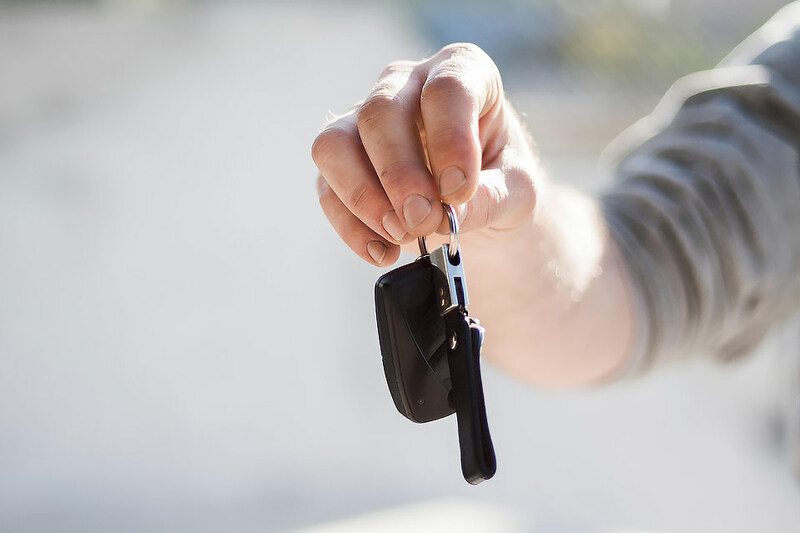 In some cases, your loan company may be willing to roll the amount you still owe into a new auto loan that you can use to purchase a new vehicle. If you make a sensible purchase that gets you a good value, you may be able to partially offset the loss you took on the totaled vehicle while paying off the remainder over a manageable period of time. Speak with an experienced personal injury attorney. If your car has been totaled, there’s a good chance you’ve been injured as well. If so, you may be entitled to compensation for medical bills, lost wages, property damage, and pain and suffering through a personal injury claim. For many victims who suffer injuries in a traffic accident, pursuing their legal case allows them to get their life back on track after a devastating crash derails their financial security and future plans. If you’ve been hurt, the legal team at Pinder Plotkin can manage all of the details of your case, from investigating the circumstances of your accident to advocating for your interests while negotiating with insurance companies or fighting in the courtroom. A serious auto accident can be an overwhelming ordeal, but the legal team at Pinder Plotkin is here to help. We have years of experience advocating for injury victims, and when you choose us to represent you, we’ll handle every aspect of your legal case, from dealing with the insurance company and filling out all the necessary paperwork to investigating your accident and calling on expert resources for testimony, if needed. For personal injury claims, our contingent fee policy ensures that you won’t pay any attorney’s fees or expenses unless we achieve a financial recovery for you. We also offer free initial consultations, so there’s no risk in speaking with us today. Please call us at (410) 661-9440 or fill out our online contact form and someone from our office will get in touch with you shortly.